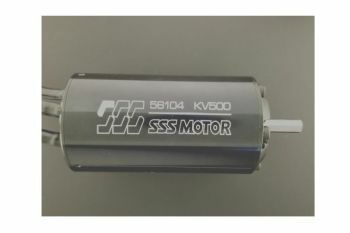 56mm Diameter by 104mm Long Brushless Motor by TFL Racing. Hand wound for high efficiency of up to 90%. Comes with high quality bearings and neodymium magnets for high power. Includes endbells that are assembled with screws for both strength and ease of maintenance. Watts: 6000 continous, with Over 11,000 Burst.